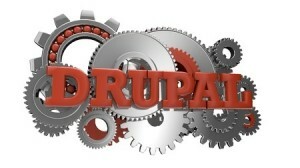 If you have ever looked into web design you will have surely heard people talking about Drupal. Drupal is an open source content management software built in PHP. It is a program which allows you to manage all of your websites with advanced options for customising and changing things. It is written as a user-friendly way of having more control over your websites without having to be an expert in programming. Drupal is strong, dependable and highly-respected among computer experts. If you are planning on finding out more about Drupal then by all accounts it can only be a good thing for you and your business. Is it the right solution for you? We tell you a little more about the basics of the software so you can make your own mind up. Drupal began life as a message board in 1999. Within a year it had attracted so many contributors that it became open source. Drupal.org came online in 2001 and since then it has continued to go from strength to strength. Drupal is now maintained by a community of people and at the moment Drupal Version 8 is under development. It very much depends on the individual. Some people use it as an entire framework for their business, while others use it purely for content management of their websites. The main benefit is that you don’t need to be able to write websites or be a programming genius to use it – it gives you all the tools you need to create and maintain the websites you need. It’s free! Anybody can download and use it because it’s distributed under the terms of the GPL (General Public Licence). You don’t need to subscribe or commit to anything either. Drupal offers all the elements of CMS software that you’d expect including user account maintenance, site administration, blog facilities and security. It also offers page layout customisation, RSS feeds, forums, and you are also able to get add-ons for any particular extra functions you’d like it to perform. Every version is more sophisticated and intuitive than the last. Everybody – because it is web-based it is compatible with all operating systems so it works well on any computer. There are loads of training guides online so you can teach yourself how it works very easily, and for free. How Does It Work With SEO? One of the biggest benefits of Drupal is that it is sufficiently sophisticated and trusted to attract search engines. Businesses that use Drupal find that their search engine rankings are considerably higher and most SEO experts are recommending it as the industry standard these days. Your responsibility is to make sure that your website’s content is suitably written. The standard release ‘Drupal Core’ contains all the basic features you might need for creating pretty impressive websites. It won’t take you long to get the hang of it, you’ll remain in complete control and you’ll save yourself a lot of money. It’s worth investigating. « Is Your Content Contagious? Hi! Thanks a lot sharing the basics of Drupal. Drupal is an open source content management software built in PHP. This article is worthwhile reading again and again. Thanks this info will be pretty useful for me in future. Cheers!